Comet 124P/Mrkos. 2014 Mar. 12, 23:55:05 (UT), 600s exp. 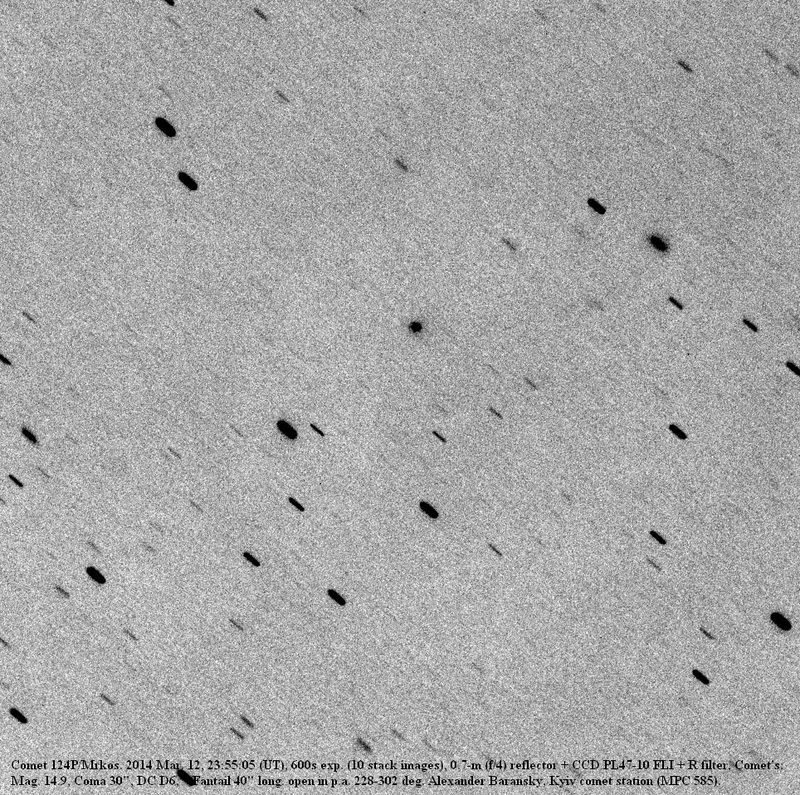 (10 stack images), 0.7-m (f/4) reflector + CCD PL47-10 FLI + R filter, Comet's: Mag. 14.9, Coma 30", DC D6, Fantail 40" long. open in p.a. 228-302 deg. Alexander Baransky, Kyiv comet station (MPC 585).